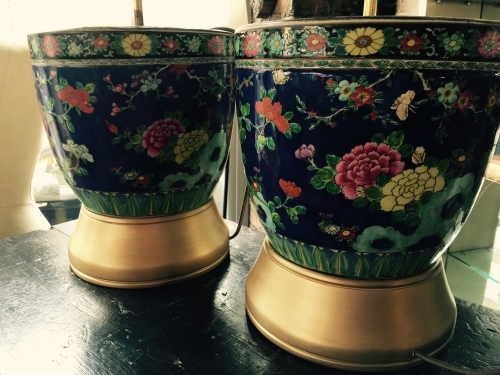 Pair of Chinese export Porcelain lamp bases with polychrome enamel decoration with birds amongst foliage set against a Blue ground. Fully reworded and PAT tested. Complete with Shades.